More than 2,000 veterans and police officers have pledged to protect the water protectors gathered on the Standing Rock Sioux reservation to oppose the Dakota Access Pipeline construction that will drill and transport crude oil at two confluences with the Missouri River, one of them near sacred land of the Sioux Nation. Far from the latest news about the shenanigans in Washington, D.C., Americans are being punished for protecting their right to water–a commons that has been denied to American citizens in Flint, Michigan and other locations in the U.S. PAY ATTENTION! Right now, the president elect is appointing people to high office who are going to further erode our basic rights to clean air, clean water, and clean food! The events occurring in our democracy are similar to those in countries that Americans have opposed due to poor treatment of its citizens. ALERT: we are one of those countries! If you have not written your representatives or called them, now is the time. We cannot let the military/industrial complex mistreat the people gathered at the Sacred Stone Camp, nor can we allow the completion of a pipeline that will threaten the water supply of millions of Americans. ACT NOW. The Guardian brings readers stories of climate change around the world. The average increase in temperature globally is now 1.3 C. [ A 5 degree increase in Celsius temperature corresponds to a 9 degree increase in Fahrenheit.] When you think of the immensity of our planet, this is a huge heat input to raise the average high that much across its surface. The oceans absorb much of that heat. Fifty-percent of the Great Barrier Reef’s corals are now dead, in part from increased warming, and in part from the increase in CO2 concentration in the atmosphere which turns the ocean slightly more acid. 2016 is likely to be the hottest year on record adding to three previous years’ record heat. Most people are feeling it but some are all readying suffering extreme impacts. 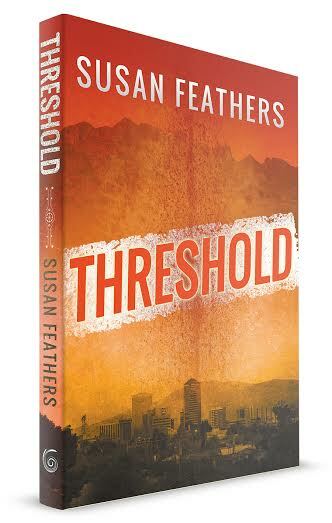 In Threshold, people living in Tucson experience the heat in an event that shocks the city and the whole of the Southwest. Characters much find ways to adapt to the new normal. Read here. Climate change deniers ignore the physics and chemistry of the earth – selectively. We accept these principles in everything we do from weather reporting, to heating our coffee, to warming or cooling our homes. But climate change caused by us is the contentious issue. What’s the evidence that the current rapid increase is human caused? See NASA’s Vital Signs of the Planet to explore the evidence upon which the majority of scientists now agree.